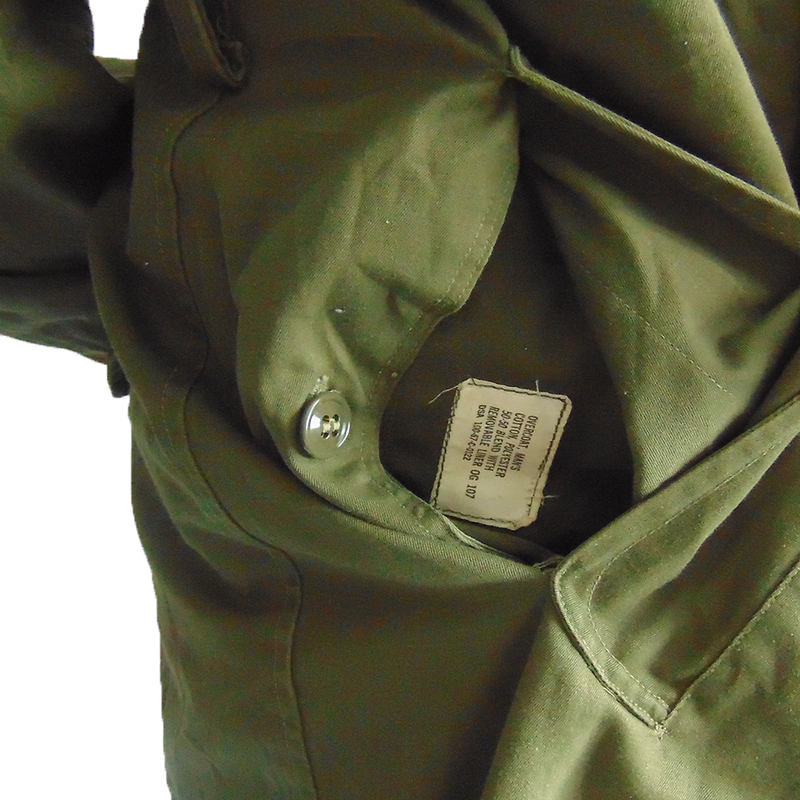 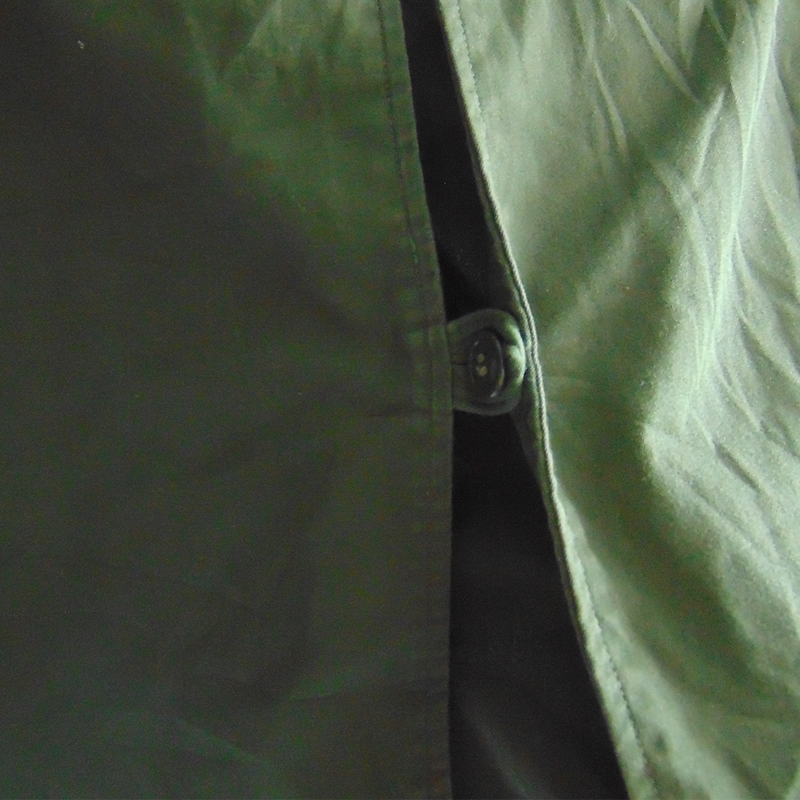 Genuine 1950s issue M1951 Olive Drab (OD-107) Overcoats, issued to soldiers fighting in the Korean War. 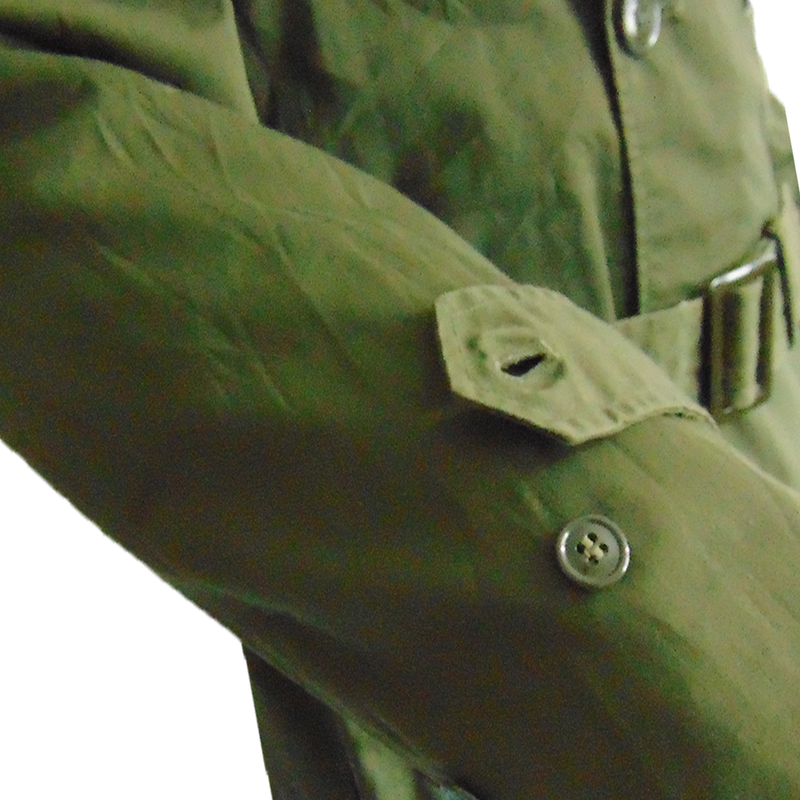 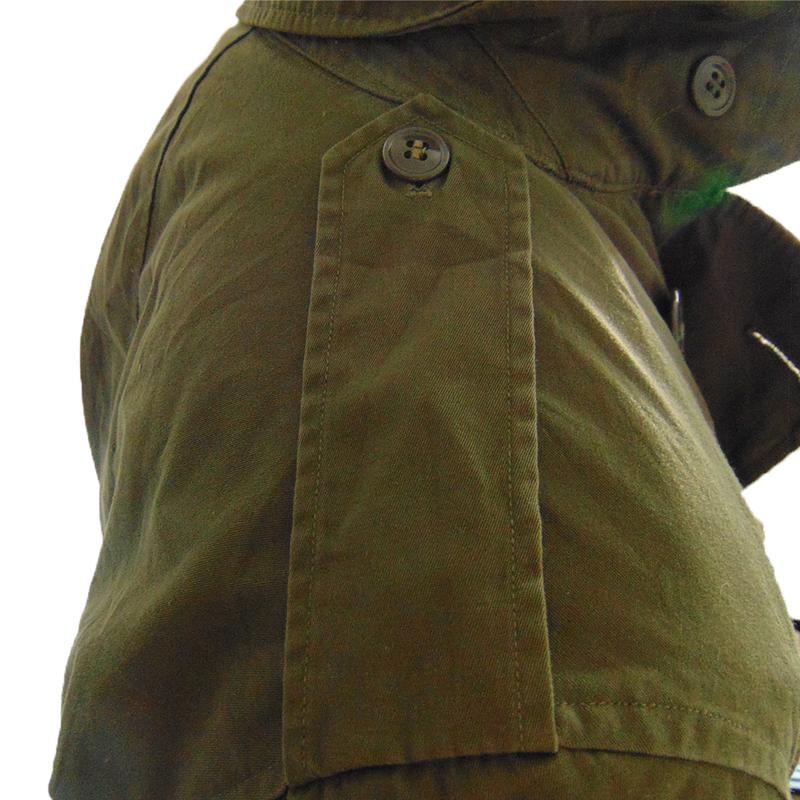 Designed to withstand the worst of combat conditions, some of these overcoats have seen better days. 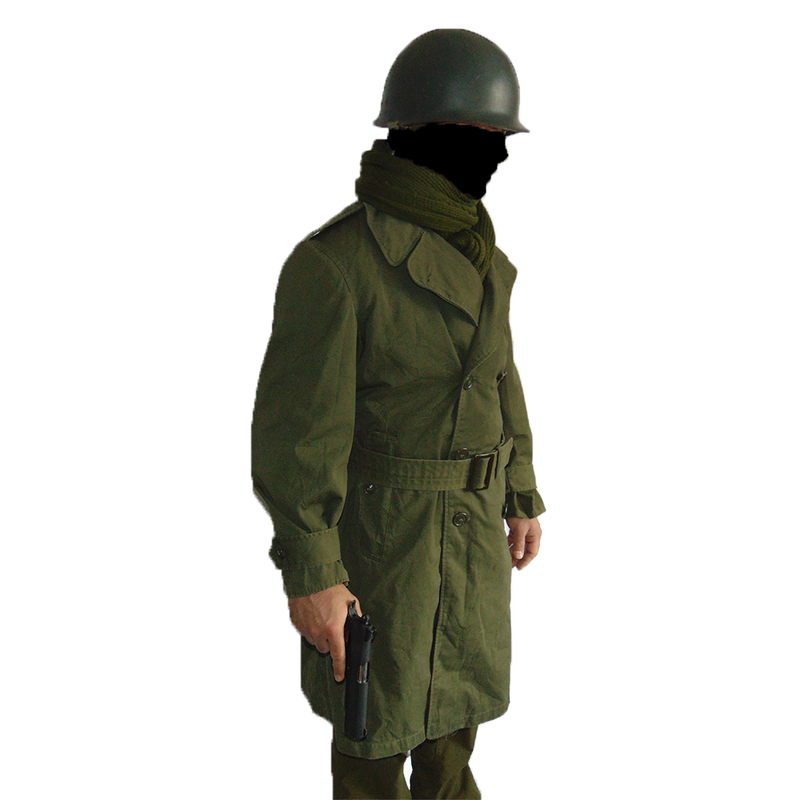 Nearly all have seen some "action" in their lifetime, making them a unique, but still very serviceable piece of kit. 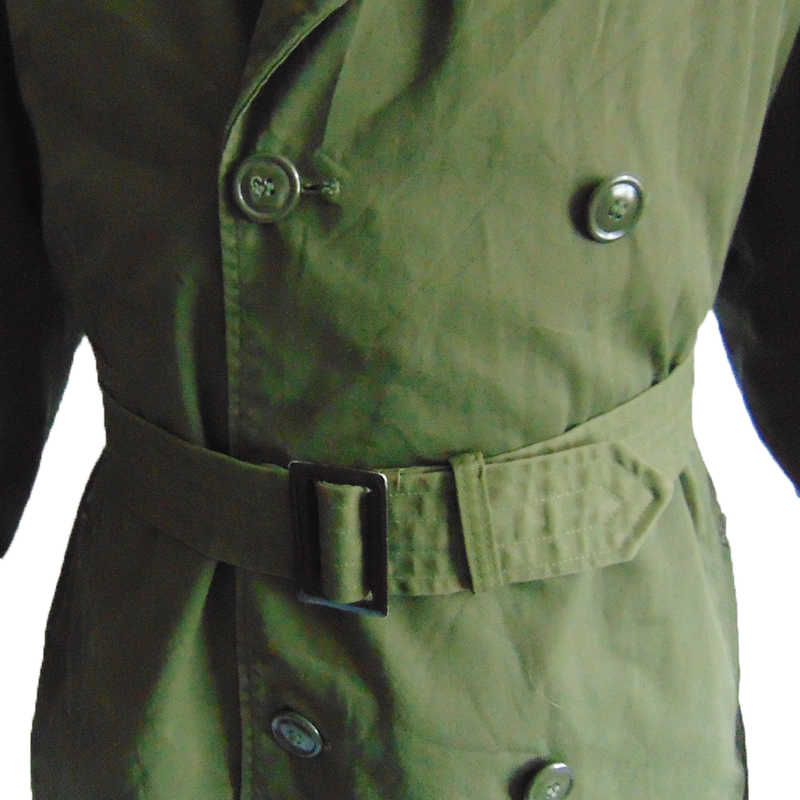 They include two buttoned hip pockets, two epaulettes, a rear cinching button, button adjustable cuffs and a waist belt to cinch excess bagginess to accommodate for webbing. 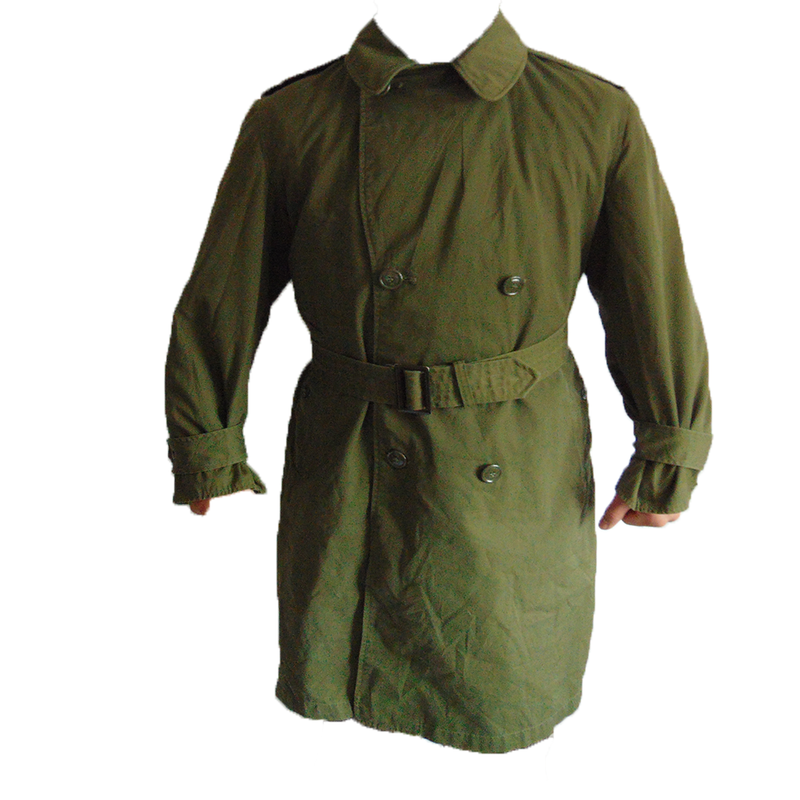 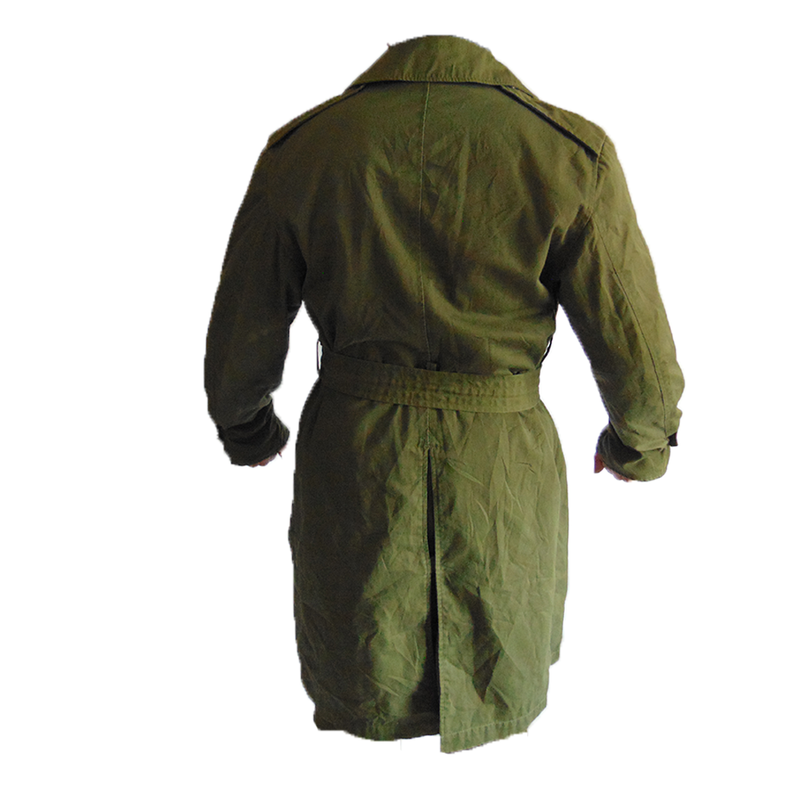 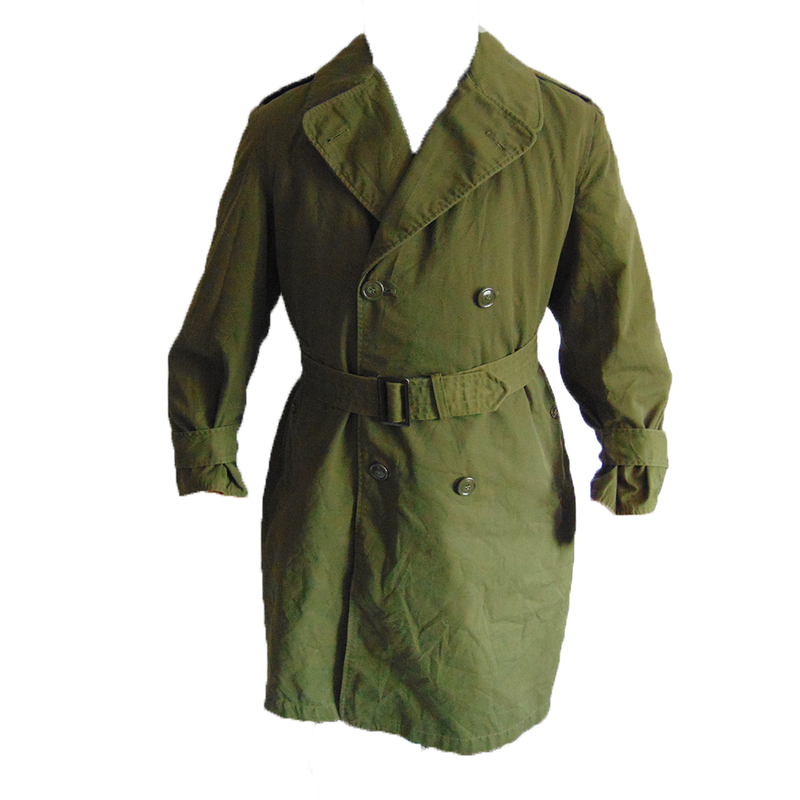 These overcoats are quite thick and can be certainly worn as a standalone, but were originally designed with additional internal buttons to accomodate a liner. 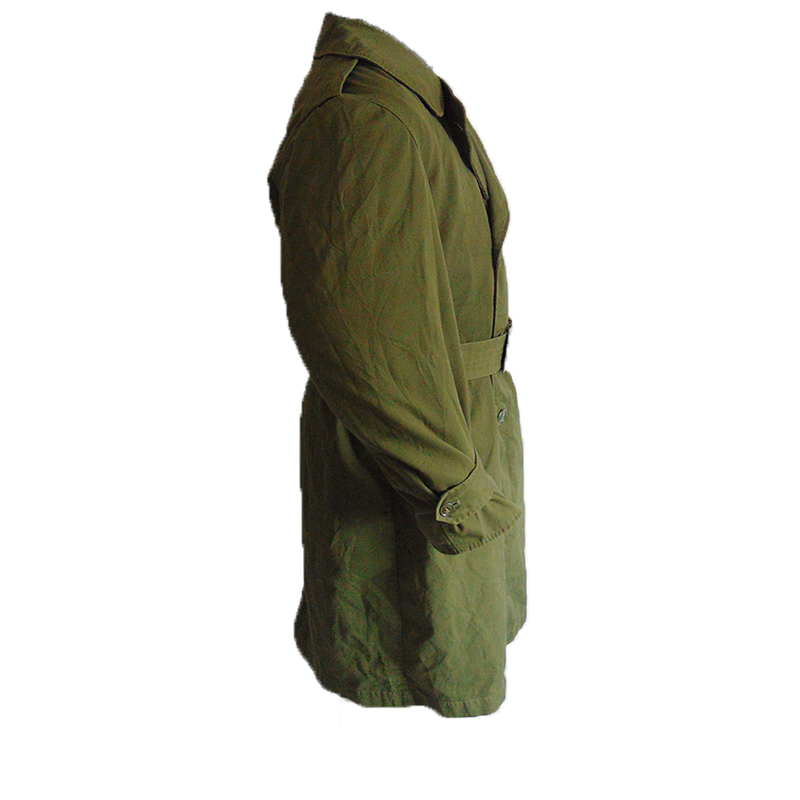 Own a try piece of history from a time period where kit is now being far scarcer than ever before!